A flower still surviving in mid-December. It is December and though we are still getting weather in the 50s and 60s occasionally, the cooler weather has set in, the bright colors of a changing fall season have passed...mostly. I caputred this little flower on a short walk I took while waiting to meet up with some people. 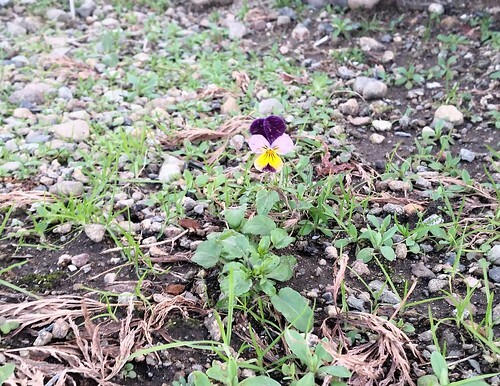 I though the little flower screamed for attention in its landscape of rocks, dying grass, dirt, and weeds. It's still thriving in a rather meager environment and provided a bit more color (besides the festive red and green, or blue of the holiday season) to this cool December morning.